Last Saturday, I went to to New Films/New Directors short film showcase, which included Frances Bodomo’s 14-minute film Afronauts. Based on the 1960s Zambian Space Program, which grade school teacher Edward Makuka Nkoloso set up and had amongst its crew a 17-year-old girl and two cats. In Bodomo’s film, albino model and actress, Diandra Forrest, stars as the 17-year old Matha Mwamba who is part of the mission to be the first Zambian astronaut. Along with her are the other members of the Zambian Space Academy as well as Auntie Sunday, played by Yolanda Ross. As said in a post-film discussion, the film has a timeless quality to it. Shot in black and white, the contrasts between the light of such images like the moon and shadows, like in the tent, are particularly striking. Also striking is the desert setting of the film; for a film about a space academy training to be astronauts, the lack of stereotypically futuristic or hi-tech tools replaced by the recycling of waste and scrapped materials, brings to the forefront the characters and why they need to do this. The characters do not seem to want to complete this mission for some commercial or nationalistic glory during the Cold War’s Space Race, but to show the desire of the spirit to overcome what appears to be the insurmountable. Despite her aunt’s fear of the danger or even her own, she is determined to go to the moon. Despite how they appear to others outside of the academy (just look at the original film for the space program above) and it rudimentary technology, they completely believe in the mission. Hoji Fortuna, who plays Nkoloso, tells Matha that she is the “mother of the exiles” and that he sees those in outer space “welcoming [her].” His nickname for her, a play on her name (“powerful woman”), harks back to a universal “mother of the abominations,” the mother of all the outcasts, and the underdogs, like in Revelations riding her beast of a spaceship on her way to usher in a new world. 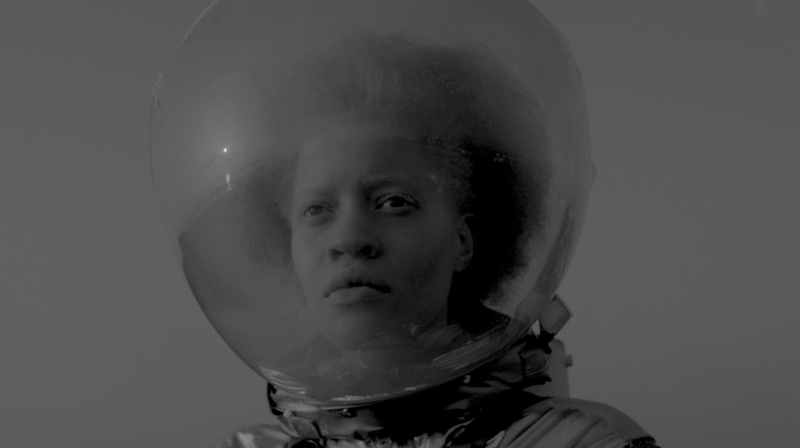 Afronauts will be showing at NYU’s First Run Film Festival on April 3rd, the Dallas International Film Festival on April 5th and 6th, and at Sundance London on April 26th and 27th in addition to several others. Also, Bodomo is planning on turning the short into a feature film.